You may find yourself asking, “What is the role of a financial advisor?” The truth of the matter is that this position is more than just a person who crunches numbers and guides you. What you will find is that often, these professionals are going to be some of the most trusted people in your life. To begin with, the role of the financial advisor begins by being a person who listens and learns about your family. They will counsel you on your financial life and provide you with tips and goals that will allow you to reach the goals you are looking for. As needed, they will also fill the role of an educator. They will provide you with research and case studies and help you to grasp a complete understanding of your portfolio and the investment options you have. As you have questions, their advice will be presented to you in a manner that you can better understand. This also has them filling the role of the portfolio manager. While some people use a stockbroker, a financial advisor can help you to create a diversified portfolio based on research and analyzed data that ensures your money is handled in the safest manner possible. In the community, this person will continue to provide education to young adults and help to ensure that financial security starts when a person is younger. It can take a lifetime to grasp everything there is when it comes to financial security. 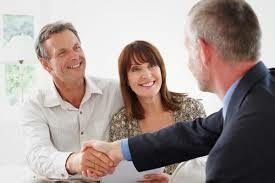 As you can see, the role of the financial advisor is an educator, member of the community and someone who will help you with your portfolio of investments. This is a person you will be able to always count on and trust when you need financial advice. Watter Vrae Het U Rondom Versekering? Be the first to comment on "What is the role of a financial advisor?"